High performance, easy to install, safe and cost-effective – Midi Space builds on the Mini Space by offering increased performance and capacity through its eight 3.5” drives, and optional redundant removable power supply units. 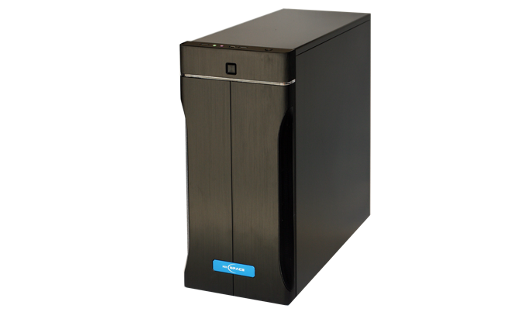 It’s ideal for small or medium offices, where no server room means this quiet unit won’t get in the way. Able to use standard Ethernet connectivity, Midi Space is easy to install without new cabling or client adaptor cards. 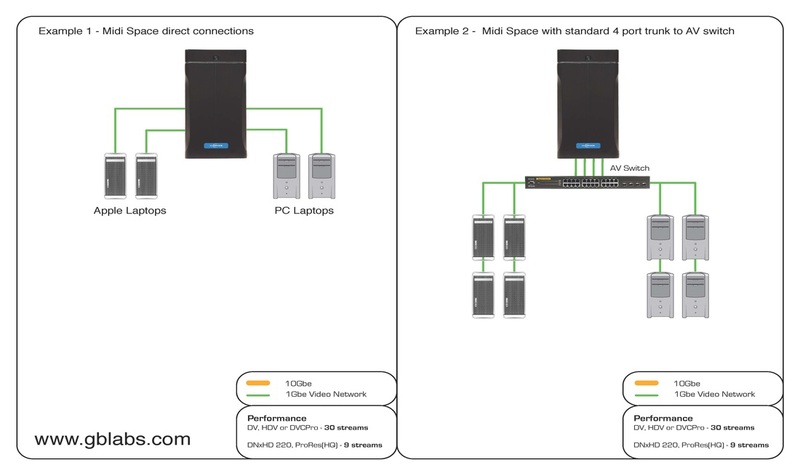 Midi Space comes with four 1G Ethernet (GbE) ports for connecting client workstations. For best performance these GbE ports should be channel bonded to a GbE switch and client workstations connected to the switch. There are also two expansion slots for adding extra network cards and increasing the number of GbE clients that can be directly connected to Midi Space. You can also add up to four 10GbE ports to connect 10GbE client workstations that need more performance than through a GbE connection. Click pictures below to enlarge.